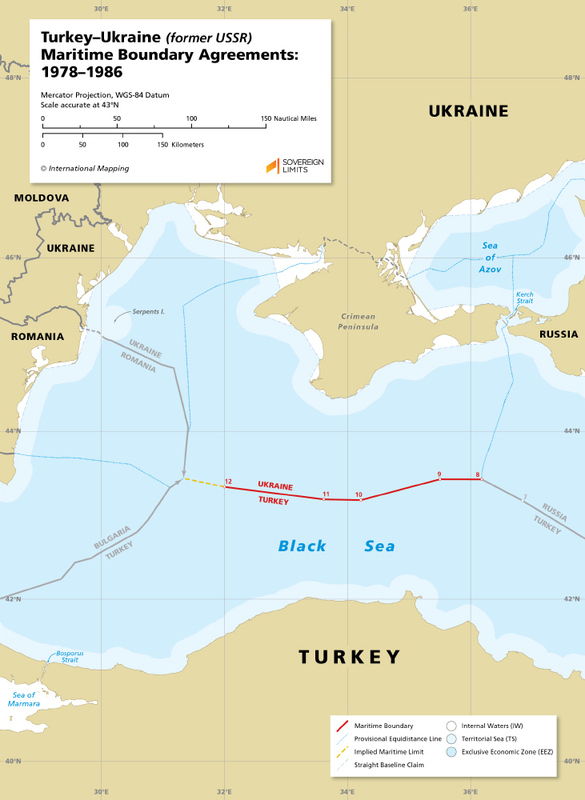 The maritime boundary between Turkey and Ukraine was established as part of a bilateral agreement that was reached in 1978 when Ukraine was still part of the former Union of Soviet Socialist Republics (USSR). 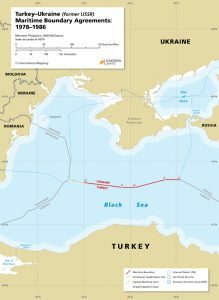 Following the dissolution of the USSR in 1991, the former Soviet states of Russia, Georgia, and Ukraine all agreed to inherit their respective sections of the existing USSR maritime boundary. However, the 1978 Agreement did not determine the precise locations where lateral boundaries between the former Soviet states would intersect this previously established boundary line. All of Ukraine’s portion of the former USSR boundary was controlled by coasts on the Crimean Peninsula. Crimea was illegally annexed by Russia from Ukraine in 2014 but is still claimed by Ukraine.